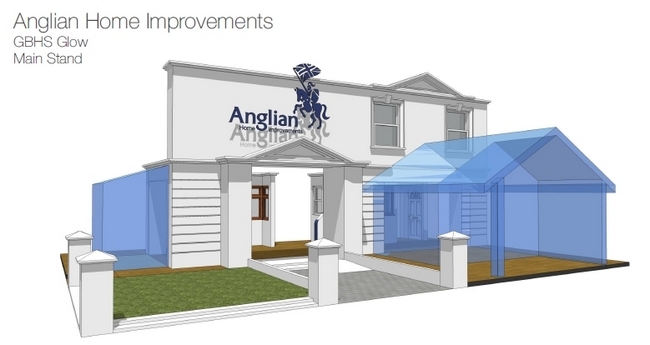 The Great British Home Show is only 2 weeks away and not only are Anglian Home Improvements the headline sponsors, they also have a lavish display to be made that will showcase our top of the range products. This is just a first draft, so there will be a lot more detail in the finished stand. As you can see it has an unusual layout, weaving a route through doors and conservatories, giving you a feel for how our products would look in your home. All of the products that are planned to go into this stand are already in production, with the factory team working hard to have them completed on time. The stand itself is also being built in another factory right now, ready to be delivered and manoeuvred into its final position in Glow, Bluewater. Once the stand is in place, the plan is to have all the products put into the stand at Glow, building it in a similar way to timber frame construction, now common place in the real world. It may look bare at the minute, but experienced gardener and Garden ER presenter, David Domoney is arranging and designing the garden area with floral arrangements that will compliment a stunning Jubilee celebration. To sort out the interior aspect of the stand, Ann Broad is coming in to furnish and achieve that homely ambience. 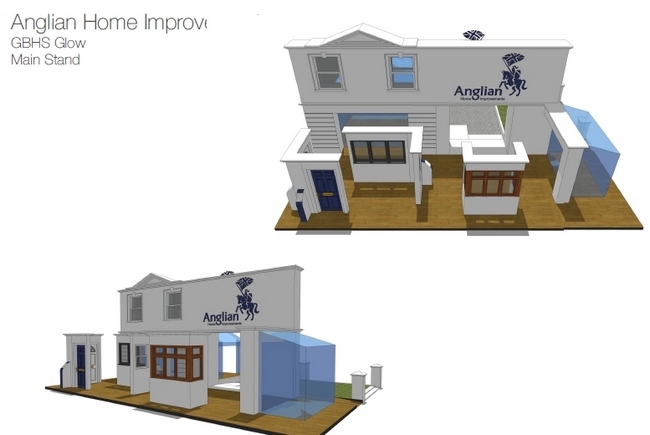 Ann Broad worked on the 2010 Ideal Home Show exhibit Anglian created, which compared an old terrace house with a renovated one, demonstrating her keen eye for interior design, converting it from an aged, old fashioned house into a modern, beautiful, luxury home. With the show only 2 weeks away, have you snapped up your tickets yet? If you haven’t you can save up to 65 off tickets by going to www.gbhomeshow.co.uk/tickets and quoting Anglian1 (terms & conditions apply).